How Do I Choose the Right Fiberglass Pool? How do I find a design that will meet my shape, size, and style needs? How do I find a fiberglass pool manufacturer that produces a quality product and stands behind their product with excellent customer service? Let's talk about finding the right manufacturer first. If you're not familiar with our approach here at River Pools, we try to be transparent in all that we do. 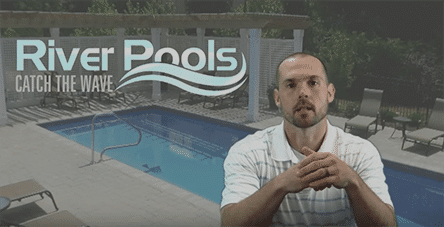 We share everything we know about pools with the world because we believe it helps pool owners make informed decisions and also helps pool contractors build better pools. The fact is that not all fiberglass pools are created equal. To understand the differences between manufacturers you really need a base understanding of how fiberglass pools are made. 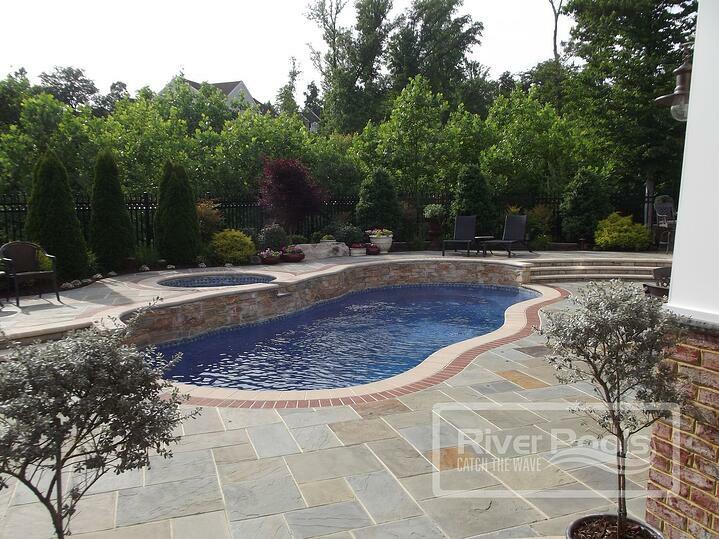 All of our pools are constructed using the advanced manufacturing techniques of The River Pools Way. If you'd like a crash course in the science behind fiberglass pool construction, check out our manufacturing page. On the surface, it appears as though virtually all fiberglass warranties are the same. However, this is not true. There are several differences that might not seem significant, but can become quite a big deal if warranty work is ever required. For example, most (if not all) other fiberglass pool manufacturers make the homeowner responsible for draining and bracing the pool, as well as refilling the pool, and replacing the start-up chemicals if a repair is needed. It's not as if repairs on fiberglass pools are a regular thing, but if it's my pool, the last thing I want is to be responsible for these expenses that only "rub salt in the wound," so to speak. You can read our warranties yourself. Just as all fiberglass pool shells are not created equal, the same applies to the dealers and installers. We have developed an advanced installation methodology that virtually eliminates most of the risk associated with fiberglass pool installations. As crazy as it sounds, we've talked with literally thousands of folks about pools over the years and there have been many occasions when people who chose to go with someone else called us back and said something like, "ya know, I just should have followed my gut." Am I looking for curve appeal or something more linear? What features would I like in my pool? First, let's discuss the differences between free form pools and linear pools. How much swim space do you need? First, consider how you might use the pool. Activities like games and wrestling with lots of adults or kids on a regular basis will obviously require more space. Curves typically equal a little less swim space, but the amount of lost swim space depends on the design. Some shapes on the market, such as our C Series and O Series pool designs, strike the perfect balance between curve appeal and liberal amounts of space. Obviously, to get the most open swim area, go with a linear design such as our G36 rectangular pool or a roman end pool like our L36 pool. But be sure to look at the step and seat configuration in the pool. Some designs have rather large and bulky steps and/or seats that can cut into the open space if that's a concern of yours. You'll want to think about achieving a happy marriage between the pool area and the existing features of the property. Keep in mind that rectangular pools, as well as Roman-End pools, typically communicate more of a formal feel. Curved or free form pools come across as “natural” or even whimsical if desired, depending on the setting. Need help finding the right pool for you? Check out our Pool Designs Page, and you can even get our input if you like. We’d be glad to help. It's also important to consider what features you would like to have in your pool. Editor's note: This page was updated on April 17, 2019.